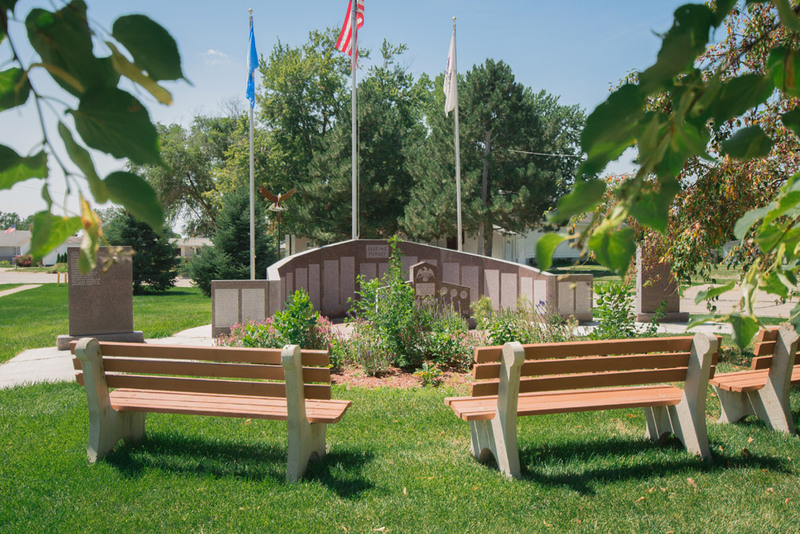 The Parks and Recreation Board is a Council appointed board responsible to care for the parks, beautification projects, and making necessary improvements, under the guidance of the City Council. The Parks and Recreation Board meets April – October on the fourth Thursday at the NSC Community Library. Residents wishing to bring any requests to the Board’s attention may leave a message at City Hall. 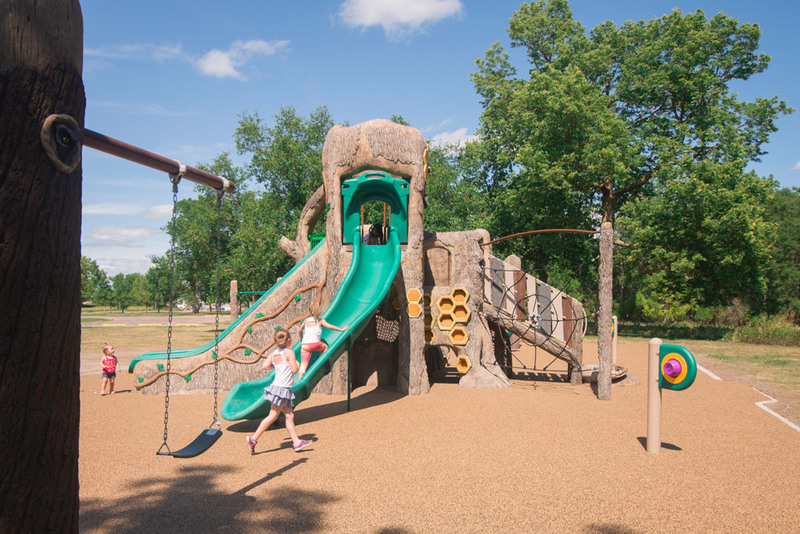 In partnership with the citizens of North Sioux City, SD, the Parks and Recreation Board provides comprehensive parks and recreation programs, facilities and services which respond to changing needs within our communities and assist in beautifying our unique setting as the gateway city to South Dakota. We strive to preserve, enhance and protect our open spaces and main thoroughfares to enrich the quality of life for present and future generations in a safe and secure environment. Each summer, the Parks and Recreation board sponsors a fun opportunity for students, straight out of school. The program runs in June for four weeks on Mondays, Wednesdays and Fridays. The first 100 children registered, from ages 7 to 11 years old, are welcome to participate. In 2011 and 2012 respectively, the City Council approved the board’s recommendations to start the Adopt-A-Street and Adopt-A-Park programs. With a great partnership between the residents and businesses, the programs have been quite successful. We have three parks and seven streets which have been adopted and cared for on a regular basis. To become involved or learn more, click the links on the right sidebar. See the local newspaper write up by clicking here. 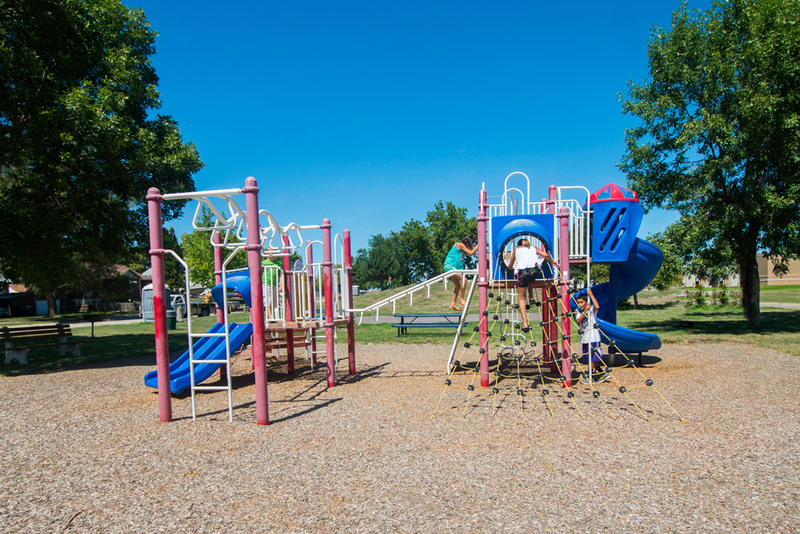 North Sioux is pleased to boast five park locations in our community. 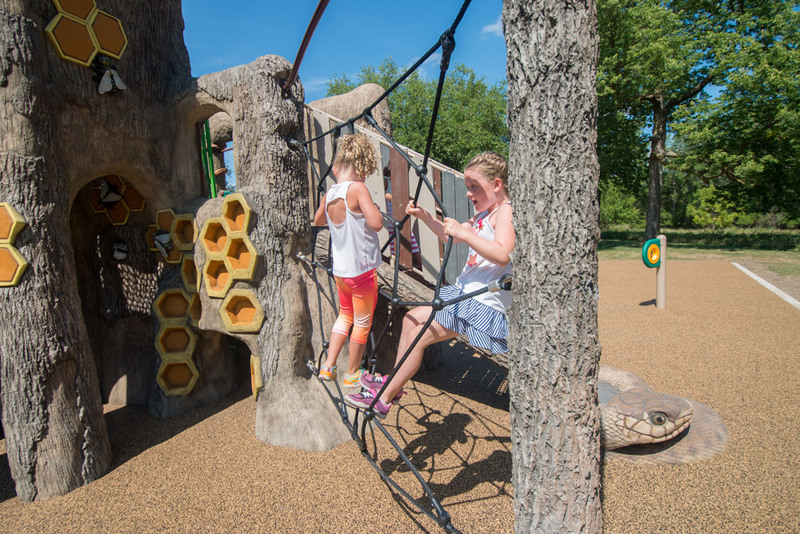 Our City’s parks are great gathering points for family time, daycare outings, reunions and weddings. The post meets each month at the Center on the 4th Thursday. During World War II, recognizing the need for veterans’ assistance in the state, Governor M. Q. Sharpe called a special session of the State Legislature on July 10, 1944, to establish the South Dakota State Veterans Department and the Veterans Commission. Prior to this time, a Contact Officer was believed to have existed from about 1923 until the establishment of the Department in 1944. Legislation enacted in 1973 renamed the former Veterans Department to the Division of Veterans Affairs and placed it within the Department of Military & Veterans Affairs. In 2011, by Executive Order, Governor Dennis Daugaard created a separate Department of Veterans Affairs. The mission of the Department is to ensure that all veterans, and their eligible family members, understand and receive all the benefits, support, care and recognition that were earned through the veteran’s service to our nation, by administering all current programs and meeting their needs in the future. Currently, South Dakota has 56 County VSO’s serving the 66 counties in South Dakota and we have six Tribal VSOs. Since the original legislation in 1944 our states’ network of County & Tribal Veterans Service Officers and SDDVA personnel have assisted thousands of our veterans and their family members with receiving the benefits that were earned through service to our country. To read more about the history of the SDDVA, click this website link. On the 1st Thursday of each month, the post meets in the Senior Center. The Legion Post hosts a monthly breakfast on the 2nd Sunday. It is open to the public.